A comprehensive video is provided to complete the vocabulary assessment. 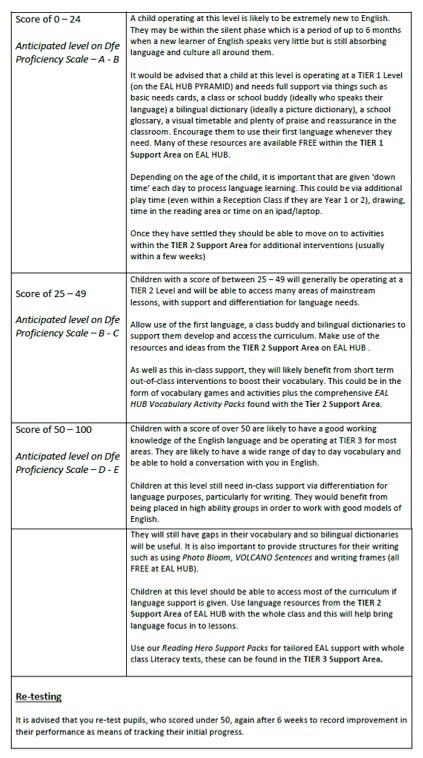 A complete Teacher Mark Scheme provides space to record known words, including reference to using English, first language (L1) or both. Music can be muted if required, some children find it stimulating, others don’t. Word and Sentence level. 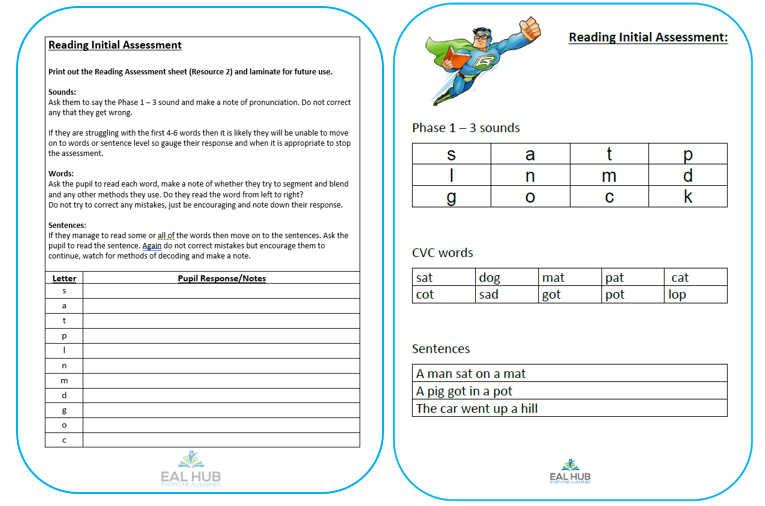 This allows assessment of phonics awareness as well as comprehension. Students write in the missing sounds for each image. The Teacher Mark Sheets allow notes on how they hold a pencil, left or right handed, do they say the image in their first language, do they segment the word to find the sound? 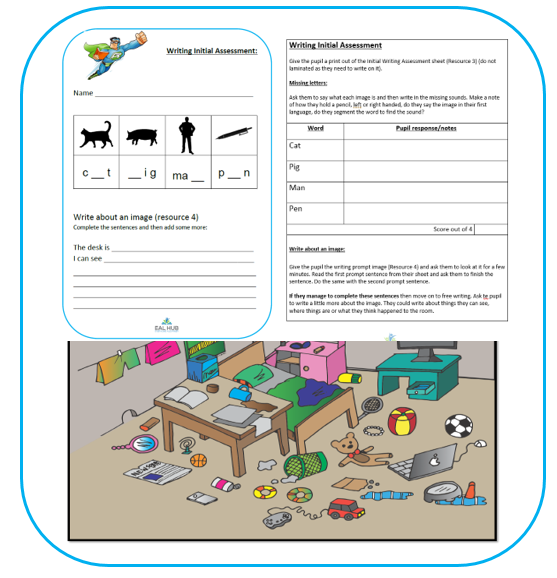 Writing prompt image (Resource 4) is used to hook the student in and assess prior knowledge and understanding. If they manage to complete these sentences then they can move on to the free writing section. The Speaking Prompt Image (Resource 6) combines with questions and prompts to enable assessment of speech and opportunity to note down their response in L1, English or both. Students circle the sounds that they hear, ensure pure sounds are used. Read the short story and have students cross out any of the images that they hear. Read the story a second time if required. This assessment can be used to provide a simple base line score from which teaching and intervention can then be planned. The scoring system used is an estimation based on performance in this initial assessment and depends entirely on how the child was feeling at the time of the assessment and a range of other factors including cultural differences or emotional needs. 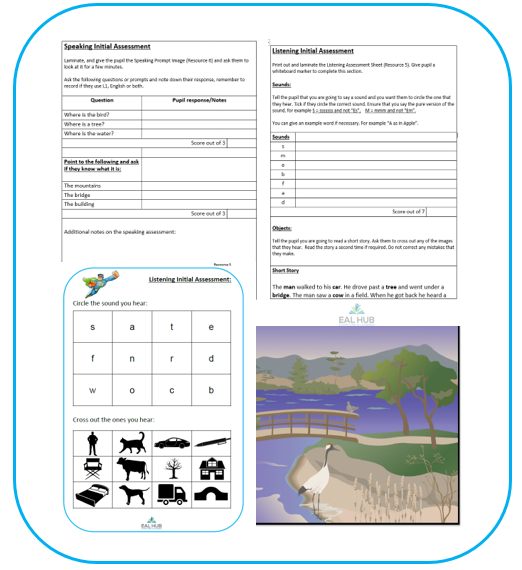 As such the score should be used alongside professional judgement and other less formal methods of assessment to create a full picture of a new arrival to your class. If you feel that the pupil is more capable of the score that they obtained then consider performing the assessment again on a different day. Subscribe today for instant access!